Your home is one of your most cherished investments, right? Whether you’ve just signed the deed on your first starter home or a new vacation retreat, you probably already know that taking care of that investment through routine home maintenance is one of the best ways to protect your home’s value. And one area in which this applies is in managing rainwater around your home - water puddling around your foundation can lead to expensive repairs and a lot of heartache. Any savvy homeowner can probably tell you that regular Gutter Cleanings are essential in keeping rainwater flowing around your home the way it should, but did you know that there are other measures you can take to keep your gutters clear and functioning properly? You may have heard about Gutter Guards or other such protection and wondered if it would ever be worth the cost, but we can bet that after just one season of living in Western North Carolina, you’ve likely thought “they must be on to something.” It rains A LOT here, in pretty much all seasons, and it’s often the kind of heavy deluge that can give you problems if you’re not prepared. Not to mention the fact that you will find the word “Forest” in the name of many neighborhoods - clearly gutter protection might come in handy. Enter Gutter Guards. Also commonly called “screens” or “leaf covers,” Gutter Guards can help to keep major debris out of your gutters so that you can hopefully prevent the kind of clogs that can wreak havoc on your whole drainage system. And the best kind will also be open enough to let water in as they should - if they are part of a completely closed-off system, you might experience a buildup of mold and moss - both unsightly and dysfunctional! Here at Higher Ground, we find the best type of gutter protection is somewhere in the middle. The guards that we offer for installation feature a diamond-shaped grid and are constructed of galvanized steel with a black UV-resistant coating. The holes in them are designed to be large enough to let water flow as it should while keeping the majority of debris out. They are molded to fit inside your gutters, not under the shingles. This distinction is important because it enables them to be easy to remove as needed without affecting your roof. They are held in with tension as opposed to screws, again contributing to easy maintenance. So now you have shiny new guards. That’s it, right? You can forget about your gutters forever now, right? Wrong. We brought up maintenance for a very important reason - one of the biggest misconceptions we hear at Higher Ground is that Gutter Guards or similar protection are “maintenance- free.” Many people think that if guards are installed, there is no longer a need to clean them in the future. This would certainly be nice! In our many years of experience, however, we have learned that this is simply not the case. Gutter Guards can reduce the number of gutter cleanings that you will need, and possibly even the price of the work as well, but occasional maintenance will still be needed. 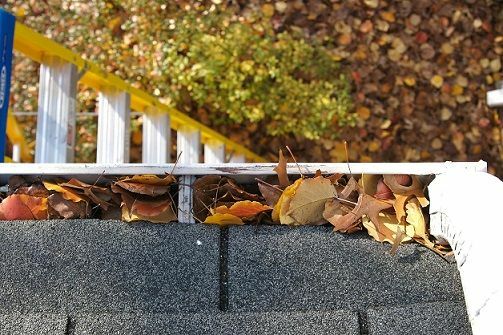 After all, not only will leaves accumulate on top of the guards, but very small debris such as pine needles and shingle grit can still get inside, eventually needing to be cleared out. We feel that as long as you clean the gutters out at least once per year, this one-two punch of guards and cleanings should keep you clog-free! 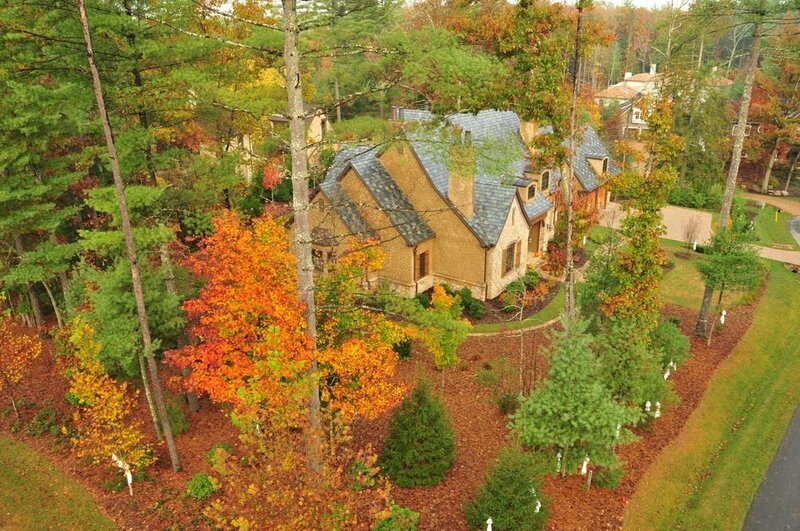 When it comes to gutter protection, we at Higher Ground Rainwater Systems of Asheville are obviously big fans. And while you may still have to clean the gutters out from time to time, we feel that having an extra layer of security in your home’s drainage system can only help to prevent issues down the road, so act now - your investment will thank you!